Our valued relationship with the City of College Place gave us an opportunity to give back to our community. Calista Wade, Sadie Flores, Noah Allington, Calin Hanson, Braeden Schwarz, and Alex Kjeldgaard. The Advanced Graphic Arts students were engaged last fall to design an new badge for the College Place Police Department. 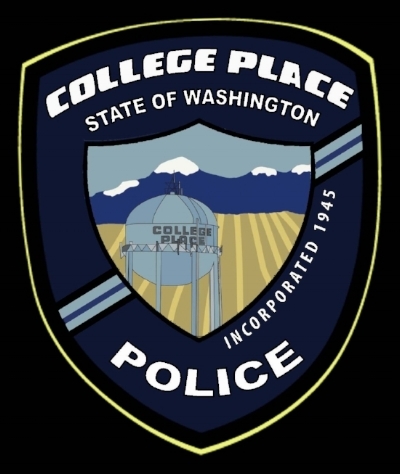 The student presented their finalized Police Badge design to the members of the College Place City Council on Tuesday, April 11th at 7 pm. The badge was approved and the city was appreciative of the hard work and creativity Members of the class include: Calista Wade, Sadie Flores, Noah Allington, Calin Hanson, Braeden Schwarz, and Alex Kjeldgaard. Students learn how to interact with the city as "clients" to learn and understand the past design and future needs for the police department. Students had to design, present, revise and present multiple times to meet the clients needs. Through this process they learn valuable 21st century skills of communication, collabrartion, problem solving, flexibility and more! The students produced quality work through the design process and then had to present to the City Council for approval. This final step is what creates owenership and authenticity for the project.